From the outside, the building the once housed the relocated Hung Far Low restaurant looks okay, but after a fire ravaged the interior, it’s likely to collapse. The Chinese restaurant Hung Far Low, translated as “red flower restaurant”, moved into a building built in 1916 and started serving customers in 1928 downtown on NW 4th Avenue near Couch Street – becoming one of Portland’s most iconic dining spots. In the mid 2000s, generations of families were disappointed to see this storied eatery close – reportedly due to urban renewal plans, construction in the area, and a hike in rent. 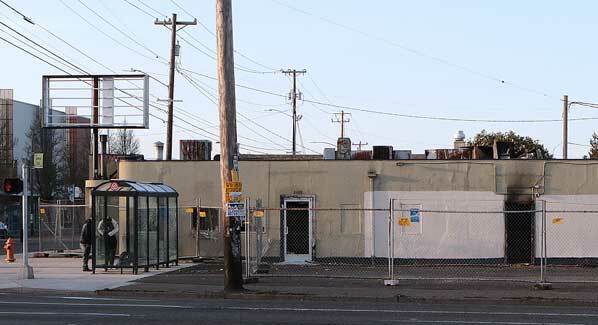 The happy news that Hung Far Low was reopening in the Montavilla neighborhood, on the highly visible corner of SE 82nd Avenue of Roses and Division Street in 2005, spread quickly. For reasons unknown, the restaurant didn’t thrive, and garnered poor reviews. It finally closed in 2015; and has sat vacant and partially boarded up. Firefighters mass to fight the fire they found raging inside the now-vacant building. 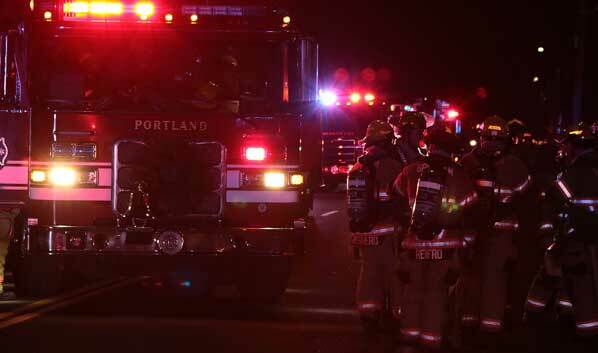 At 2:20 a.m. on March 23, Portland Fire & Rescue (PF&R) was called to the building. Once firefighters got past the chain link fencing surrounding the property and got inside, crews found fire venting though the roof of the empty structure. Fire crews are told to evacuate the building and fight the fire from outside. Once the fire was brought under control, crews reentered the building to quench hot spots, but were quickly told to get out again due to the structural damage and potential collapse hazards. No injuries were reported with this fire. No cause has been revealed; and no loss estimate has yet been given.